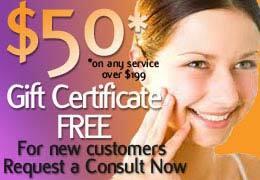 New Customer Special – 20 Units BOTOX $199! Why BOTOX at New Radiance in Palm Beach Gardens? Board Certified Surgeons & Physician Assistants are “Expert Injectors”- Palm Beach’s Top Botox injectors are here! New Radiance is a Platinum Provider Award Center of Allergan, the Maker of Botox. Brilliant Distinctions Allergan Provider so when you get BOTOX here YOU get Rewards! There are 100 units of Botox in every vial. As seen below in Table A, the more saline (in mL) added to the Botox vial the less active units that will be present in each 1/10 mL extracted into the syringe. Some may refer to this is as the dilution process, but it is actually called “reconstitution”. What this means for patients: each facility can reconstitute the injection differently, using the ecommended standard amount of saline or a greater amount in order to dilute the product. Unfortunately, over diluted BOTOX is an epidemic in South Florida.